Blend onion, ginger, garlic well. Make smooth paste. Blend tomatoes in smooth paste. Heat oil and butter in pan. Add onion, ginger, garlic paste and sauté till onion light brown. Add tomato paste, cook for 5 to 6 minutes. Add pav bhaji masala and mix well. Add boiled green peas, cauliflower, mashed potatoes, mix well. Add water as required to adjust consistency. Cover pan with lid, cook for 4 to 5 minutes. Add salt, red chilly powder, butter, and mix well. Cook for 1 to 2 minutes. 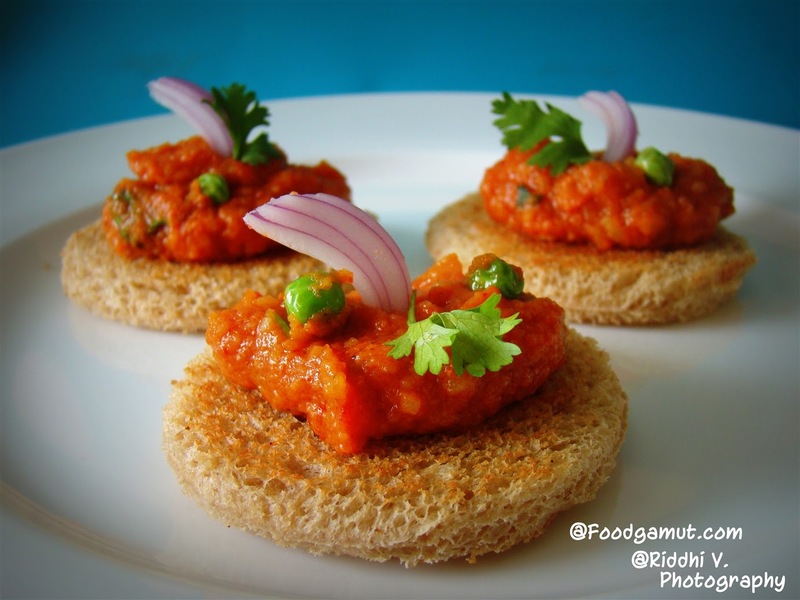 Garnish with onion slice, coriander and Serve hot with toasted brown bread.